What was it like to live in the 1920s? The 1920s, also known as the ‘Roaring Twenties’, was a decade of contrasts. The First World War had ended in victory, peace had returned and with it, prosperity. For some the war had proved to be very profitable. Manufacturers and suppliers of goods needed for the war effort had prospered throughout the war years and become very rich. For the ‘Bright Young Things’ from the aristocracy and wealthier classes, life had never been better. Nightclubs, jazz clubs and cocktail bars flourished in the cities. The hedonistic lifestyle portrayed in books and films such as ‘The Great Gatsby’ was perhaps for some, an escape from reality. This generation had largely missed the war, being too young to fight, and perhaps there was a sense of guilt that they had escaped the horrors of war. Perhaps they felt a need to enjoy life to the full, because so many other young lives had been lost on the battlefields of Flanders. P.G. Wodehouse and Nancy Mitford, herself a ‘Bright Young Thing’, portray the ‘Roaring Twenties’ in Britain in their novels. Both authors politely poke fun at the socialites and upper classes, but their novels give a good idea of the heady days of the 1920s. The experiences during the War influenced British society, particularly women. During the war, many women had been employed in the factories, giving them a wage and therefore a certain degree of independence. Women over 30 had been given the vote in 1918, and by 1928 this had been extended to all women over the age of 21. Women felt more confident and empowered, and this new independence was reflected in the new fashions. Hair was shorter, dresses were shorter, and women started to smoke, drink and drive motorcars. The attractive, reckless, independent ‘flapper’ appeared on the scene, shocking society with her wild behaviour. Girl Power 1920s-style had arrived! For married women and their children, life was pretty much the same post-war as pre-war. For example, the middle-class stay-at-home housewife still changed into her afternoon dress after lunch to receive guests, and many such households had either a live-in maid or a ‘daily’ to help with household duties. Pregnant women normally gave birth at home and in a middle-class home, a live-in nurse was often engaged for the two weeks prior and for a month after the birth. For working class women there was no such luxury as a home help, and there was certainly no paternity leave for the husband! Families were on average smaller in the 1920s than during the Victorian era, with families of 3 or 4 children most common. Children’s toys were often homemade. Whip-and-top and skipping were popular pastimes. Carrot tops, turnip tops and wooden tops were whipped up and down the streets and pavements as there was little traffic. Comics such as “Chicks Own”, “Tiny Tots” and “School Friend” were available for children. In 1921 the Education Act raised the school leaving age to 14. State primary education was now free for all children and started at age 5; even the youngest children were expected to attend for the full day from 9am to 4.30pm. In the country, pupils at some schools were still practising writing with a tray of sand and a stick, progressing to a slate and chalk as they became more proficient. Classes were large, learning was by rote and books were shared between groups of pupils, as books and paper were expensive. Nature study, sewing, woodwork, country dancing and traditional folk songs were also taught. By the mid 1920s the post-war period of prosperity was well and truly over. The re-introduction of the Gold Standard by Winston Churchill in 1925 kept interest rates high and meant UK exports were expensive. Coal reserves had been depleted during the War and Britain was now importing more coal than it was mining. All this and the lack of investment in the new mass-production techniques in industry led to a period of depression, deflation and decline in the UK’s economy. Poverty amongst the unemployed contrasted strikingly with the affluence of the middle and upper classes. By the mid 1920s unemployment had risen to over 2 million. Particularly affected areas were the north of England and Wales, where unemployment reached 70% in some places. This lead in turn to the Great Strike of 1926 (see picture below) and, following the US Wall Street crash of 1929, the beginning of the Great Depression of the 1930s. From a decade that started with such a ‘boom’, the 1920s ended in an almighty bust, the likes of which weren’t to be seen again for another eighty years. 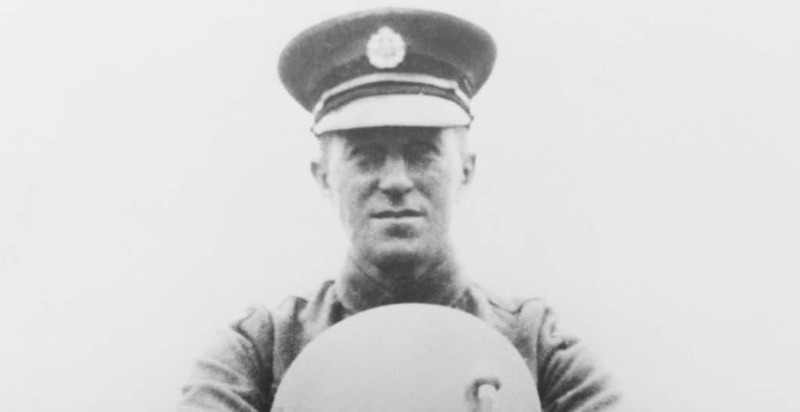 Max Woosnam played soccer for Manchester City and England, won Olympic Gold at tennis, was a Wimbledon Champion, fought with distinction in the First World War….and beat film star Charlie Chaplin at table tennis, playing with a butter knife! !